Jypyä Pop (Turku, Finland) on 11 January 2014 in Lifestyle & Culture and Portfolio. I was taking a picture of this morning a little before six o'clock. I had to when I saw that it was snowing. Ooh, that is so cool! We still don't have snow. @ursulakatariina: Maybe you do not have to worry about. Yes thither winter perhaps still has time. Yes, it did. It's rainy and windy here. @Steve Rice: Here, it was raining and there was more than one month all the time. We'll see how long this lasts joy. 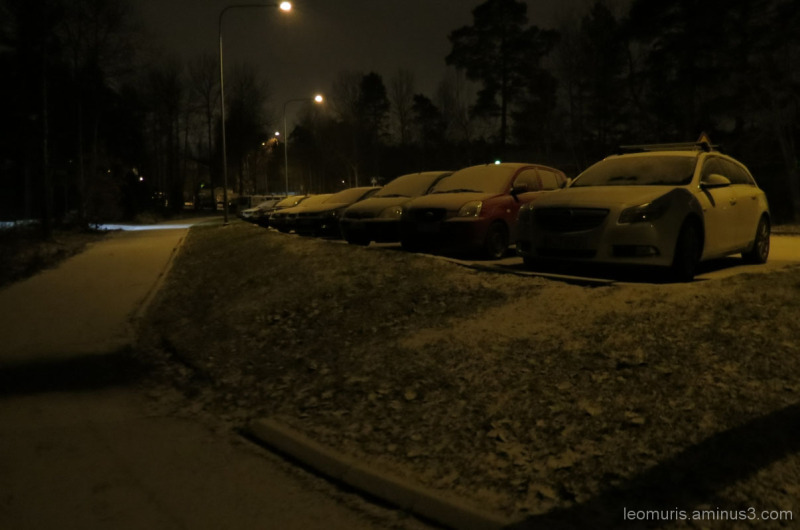 @jpla: It is okay in the winter when there is snow. I can feel the silence here . . you sure caught the moment ! @Ronnie 2¢: It was really nice to see the window in the morning, the ground was white. Small walking outdoors even before the morning coffee had to do. @Frances: Now begin to feel that spring can sometimes become when you first had the winter. @Kate: I agree. Who knows how long time we have snow. Love the atmosphere you have captured. I'm glad to see this snow for you !! I love this early shot, it has a wonderful color tone !! Framing and details are superb ! !